If you’re in the market for a new car, chances are you want to keep your payments as low as possible, preferably under $500 a month. Car dealers know this, which is why 72-month car loans are more popular than ever. Even 84-month car loans – yes, some auto lenders are offering financing for 7 years – are quickly making inroads with consumers. According to Experian Automotive’s latest State of the Automotive Finance Market report, the average car loan in the U.S. now lasts 66 months, the longest term on record since Experian started tracking this data in 2006. What’s more, loans lasting from 73 to 84 months made up 25% of all new car loans issued during the first quarter of 2014. That’s up about 28% from year-ago levels. So in today’s marketplace, how should you evaluate your car-buying options and what should you take into consideration when planning to get a new vehicle? Here are the financial pros and cons of taking on a 72-month car loan or an 84-month car note. 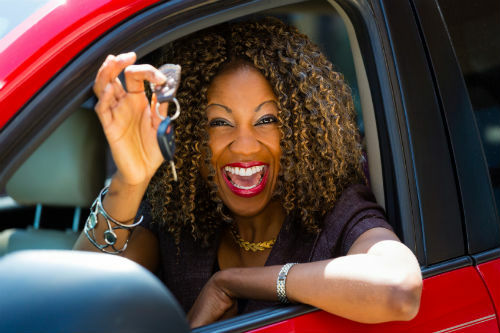 The primary benefit of extending your car loan for six or seven years is that you’ll reduce your monthly car note, and not have to contend with the higher monthly payments associated with car loans that last just 60 months or even 48 months. Obviously, lower monthly car payments can feel comforting if you’re on a tight budget or you’re worried about future cash flow. Let’s face it: some people opting for longer-term financing can, in fact, afford to take out a four- or five-year car loan. But they’d simply rather not, in order to maintain greater financial flexibility. They’re hedging a bit against the unexpected or some potential emergency down the road. Additionally, many car buyers signing on the dotted line for six- or seven-year loans plan to – or at least say they will – pay those loans off early, and without prepayment penalties. Meantime, these borrowers are taking the extra monthly cash afforded by a 6- or 7-year car loan and using that additional money for other purposes. Theoretically, these car buyers are using what might be called the ‘Mark Zuckerberg loan strategy.’ Remember when the Facebook billionaire took out a 1% adjustable-rate mortgage to buy his San Francisco area home? Couldn’t he have just paid all cash for his posh digs in Palo Alto, CA? Of course, he could have. But Zuckerberg opted to do otherwise. Some think it was for tax purposes. More likely it was that Zuckerberg got great loan terms and could better deploy his cash elsewhere. Now before you dispute this analogy: yes, I know that a car is a depreciating asset and is far different than a home. And yes, I get it that that Zuckerberg has waaaaay more money than the average American car buyer. But my point is that Zuckerberg was exercising a certain financing option because he wanted to put his cash to different use. Some car-buyers with extended loans are doing the same thing. Now that I’ve hit the “pros” of extended car loans, let’s talk about the “cons” of longer-term car loans – of which there are many. Keep the following drawbacks in mind should you ever contemplate a 6-year, 7-year or even an 8-year car loan. You read that right: some lenders are offering car loans lasting 8 years or longer. The Wall Street Journal has reported on car buyers getting loans as long as 97-months! What could possibly go wrong with these “car mortgages”? A lot. Read on. Longer-term car loans usually have higher interest rates; so that means borrowers wind up paying more money overall for these vehicles. For example, take the average new car, which costs about $31,000. At prevailing interest rates, a borrower getting a loan with a 72-month term would pay roughly $1,000 to $1,500 more in interest compared with a loan that lasts just 48-months or 60-months. Just like you can owe more on a home than it’s worth, you can also get upside down in a car. Here’s why. It usually takes about 3 ½ years to break even on a financed car if you want to trade it in. At that point, if you do want another vehicle, you’ll be able to do a trade without forking over extra cash to a car dealer. But with a six or seven-year car loan, you’ll still owe plenty of money on the car in those latter years, making a trade-in impossible without you coming to the table with additional cash or getting a larger loan to pay off your remaining car loan balance. One reason that 6-year car loans are growing in popularity is that car prices have climbed in recent years. To make car payments fit into people’s monthly budgets, automobile lenders are increasingly offering to stretch out the repayment period. But don’t lose sight of the big picture. If your “dream” car is only affordable with a 6, 7 or 8-year financing option, you have to ask yourself whether the car in question is simply outside your reach financially. After all, there’s a lot more to pay than just your monthly car note. Don’t forget about gas, maintenance, car insurance, repairs and more. Speaking of repairs, with extended car loans you’ll often be paying on the vehicle long after your manufacturer warranty expires. That’s because most bumper-to-bumper warranties last from three to five years. So if something happens to a vehicle financed over the long haul, consider whether you’d be able to swing the payments and pay for uncovered repairs after a warranty ends. One final downside of extended car loans is the added repossession risk during the extra life of the loan. Cash-strapped car owners and those with credit problems face even greater risk of getting a visit from the repo man. Nonetheless, credit-challenged borrowers are currently being welcomed with open arms by car dealerships and auto lending firms. In fact, U.S. auto loans jumped to the highest level in eight years this past spring, fueled mostly by a big increase in lending to risky, so-called subprime borrowers, government data show. According to the New York Fed’s quarterly report on household debt and credit, outstanding balances on auto loans, including leases, increased by $30 billion to $905 billion in the second quarter of 2014. The good news is that nationwide, the rate of car repossessions is quite low – less than 1%. The bad news is that repo climate appears to be quickly changing. The overall automotive repossession rate jumped dramatically in the second quarter of 2014, surging more than 70% to 0.62% from a year earlier. Car delinquencies – a precursor to repossessions – are climbing too. Experian’s latest data show that, while still at near historic lows, 60-day car loan delinquencies increased by 7% to 0.62% in the second quarter. In my next column, I’ll tell you about smart alternatives to 72-month and 84-month car loans. Q: Is It Smart To Buy A Car With Cash? A: Yes, it’s very wise to buy a car with cash. That’s the preferred way to get a car, in my opinion. You should also be able to get a better deal from a car company if you pay in cash – as opposed to financing or leasing a vehicle. Additionally, buy a used car (even if it’s only a year or two old) instead of a brand new car. As soon as you buy a brand new car and drive it off the lot, it depreciates in value anyway. So you might as well get the better deal (financially speaking) with a used vehicle.